Capt. 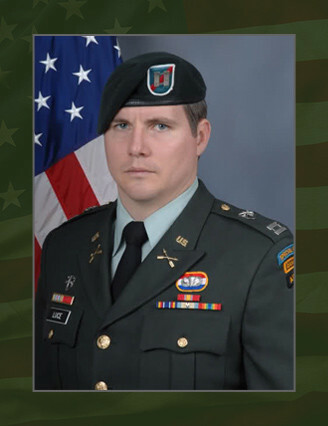 Ronald G. Luce died while conducting combat operations in the Qole Gerdsar, Afghanistan, Aug. 2, 2009, while serving as the Special Forces Team Commander with Charlie Company, 2nd Battalion, 20th Special Forces Group (Airborne), headquartered in Jackson, Miss. Luce, 27, was killed when a command wire improvised explosive device struck his vehicle while deployed to Afghanistan in support of Operation Enduring Freedom. Luce, born in Julian, Calif., enrolled in ROTC at Valley Forge Military Academy and became a commissioned officer in 2002. In 2005 he attended the Special Forces Qualification Course, graduating May 2008 as an 18A and was assigned to 2nd Bn., 7th SFG (A) as a liaison officer. He was reassigned to Co. C, 2nd Bn., 20th SFG (A) as a detachment commander. Luce’s military and civilian educations include a Bachelor’s of Science Degree in Biology from Belmont University in Nashville, Tenn. He also attended the Infantry Officer’s Basic Course, Infantry Captain’s Career Course, Ranger School, the Special Forces Qualification Course and Airborne School. Badges as well as Special Forces and Ranger tabs. Luce is survived by his wife Kendahl and daughter Carrie of Fayetteville, N.C.